Want to look your best but have little time? 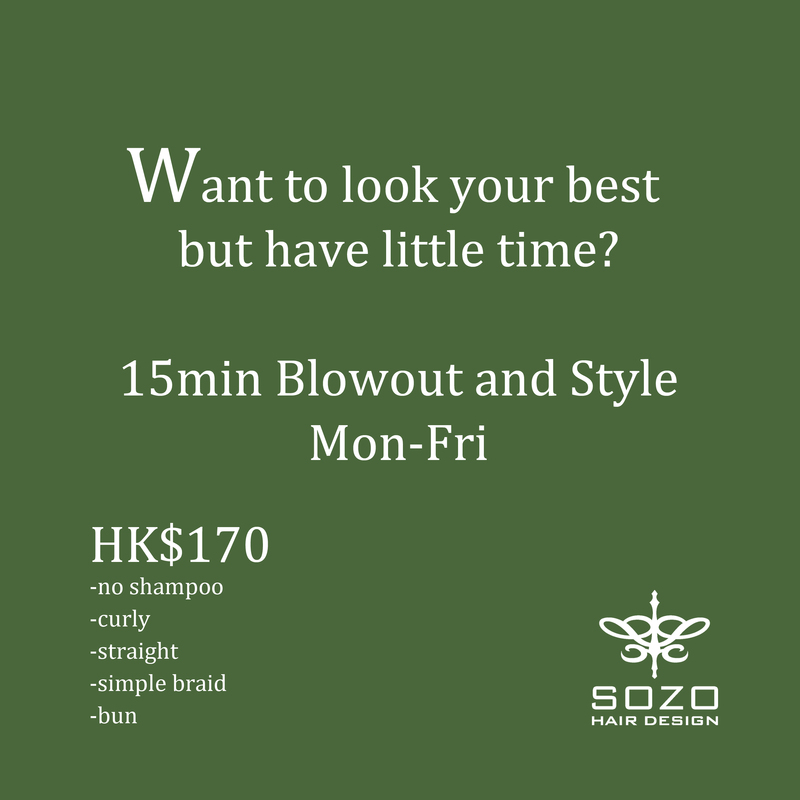 Sozo is now offering a 15 minute blowout and style from Monday – Friday. NOTE: Please email us 2 days in advance. We will check availability and confirm via response email. To book your appointment online, please click here. Copyright © 2013 Sozo Hair Design.